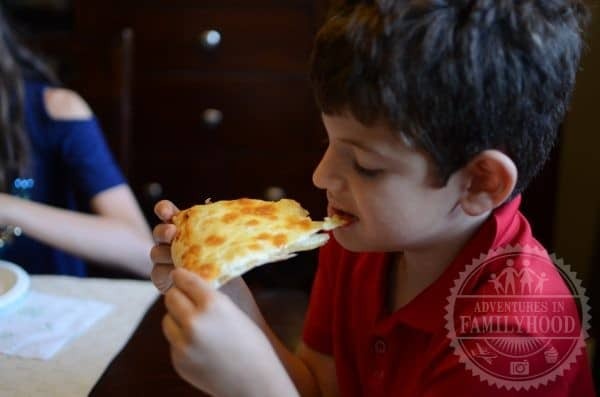 We received a complimentary subscription box sample from Pizzer Time in order to facilitate this review. All opinions are our own. 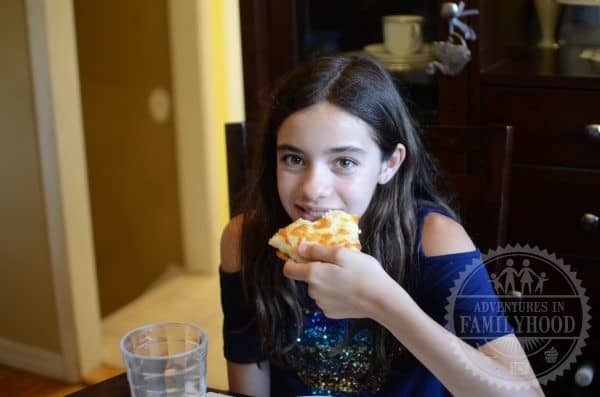 Like many families, pizza night is on the menu every week. If we’re not ordering a pie from our favorite pizzeria, we’re making it at home. 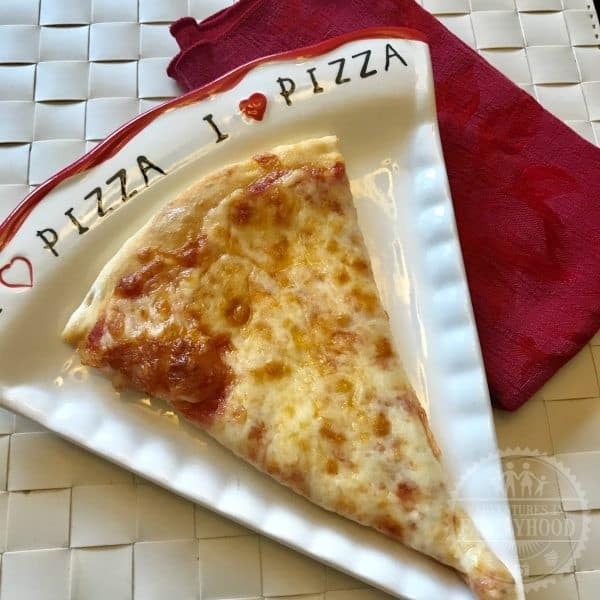 But what if you could combine the taste of a pizzeria pizza with the convenience of making it at home. Let me introduce you to Pizzer Time. 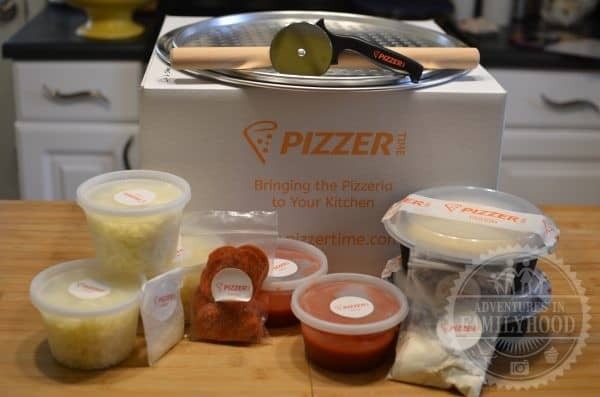 Pizzer Time is a customized pizza meal box kit that brings the pizzeria to your kitchen. All the ingredients and tools you’ll need to make fresh homemade pizza are delivered to your door. With Pizzer Time, you’ll get the same quality ingredients that your pizzeria uses without all the hassles that comes with pizza delivery. The founders have over 30 years of experience in the pizza industry in New York. And if you know anything about New Yorkers it’s that they know pizza. It sounds good, but is it worth it? Pizzer Time works like your average meal delivery service. You start by choosing your plan. You can choose between a 2, 3, or 4 pie box with a delivery frequency of weekly, bi-weekly or monthly. Pizzas are 14 inches and can serve 1-4 people. Once your plan is place, you choose the toppings for your pizzas. Toppings include cheese, extra cheese, pepperoni, mushroom, meatball, sausage or extra sauce. Membership also comes with two Pizzer pans, one for stretching the dough and the other for baking. Your Pizzer is then delivered in an insulated box right to your door. (Pizzer Time currently delivers to 16 states with more to follow.) The rest is up to you! We had the opportunity to try a two pizza box thanks to Pizzer Time. Here’s our experience. Our pizza adventure began with a friendly Pizzer Time delivery person bringing our box to our door. I was impressed how the box was hand delivered by the company rather than being sent through UPS or Fed-EX. The box arrived promptly on our scheduled delivery day and time. We brought our box to the kitchen to unbox the ingredients. All the ingredients were individually packaged and labeled for ease of use. You could tell just by looking at them that the ingredients were fresh and personally prepared. Our box included two dough balls, cheese, extra cheese, two containers of sauce, flour for rolling, pepperoni and Parmesan cheese. We were also provided with the two pizza pans for baking. Making the pizzas was the best part. 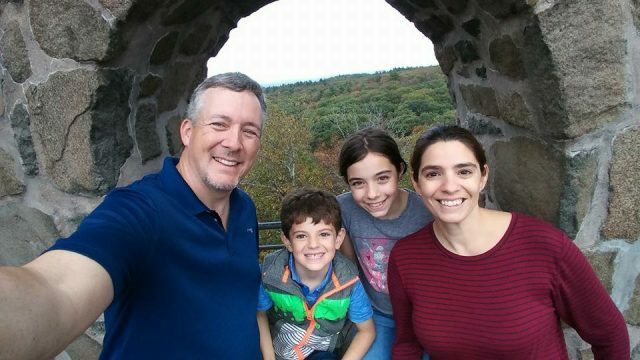 It was an opportunity for the whole family to get in on the action. The kit came with easy to follow, step-by-step instructions for preparing the pizza. The dough stretched easily as we let it sit our for 30 minutes before preparing our pizzas. We followed the two pan method to make our extra cheese and pepperoni pizzas. The sauce looked freshly prepared while the cheese looked hand grated. There were more than enough of each ingredient to make both pizzas. Our pizzas were ready to hit the oven. We baked them one at a time. Waiting for them to finish was the hardest part. The end result was two perfectly baked pizzas. The crust was crisp on the bottom, soft and chewy on the inside. Both pizzas tasted great! Each slice was light and fresh. You didn’t have the heavy and greasy feeling as you sometimes have with pizzeria pizza. We all enjoyed our pizza and went back for multiple slices. Pizzer Time is the best of both worlds. With its fresh ingredients, it has all the taste of a pizzeria pizza, but with the added convenience of making it at home. 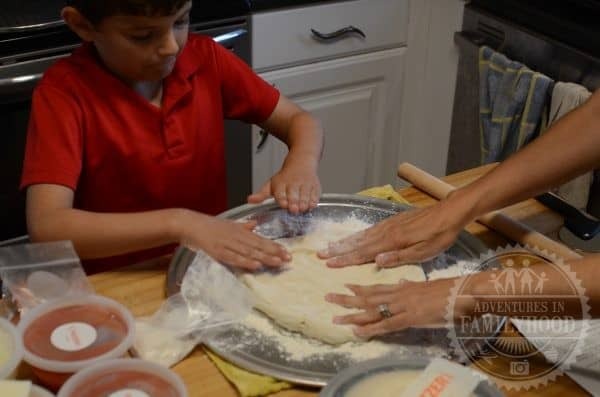 The experience of making our own pizza at home was fun for the whole family. 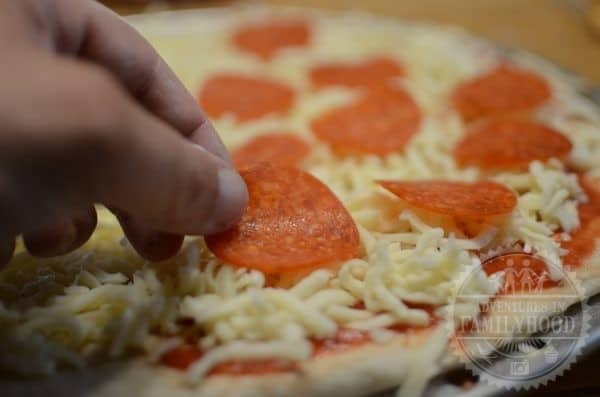 Plus you’re able to control the type and amount of ingredients that goes on your pizza which can save you some calories. Also, as a busy family, the convenience of having pizza making ingredients delivered to you and on hand can make those super scheduled nights a lot easier. The price tag of $35 for two pizzas may seem like a lot, but when you think about it, it’s really not. If we were to order the same amount with toppings from our go-to pizza place, it would cost the same if not more. You could also buy one 4 pizza box and have pizza ingredients for the whole month. Dough will last 5 days in the fridge while sauce and cheese can last up to 7. All ingredients are also freezable. 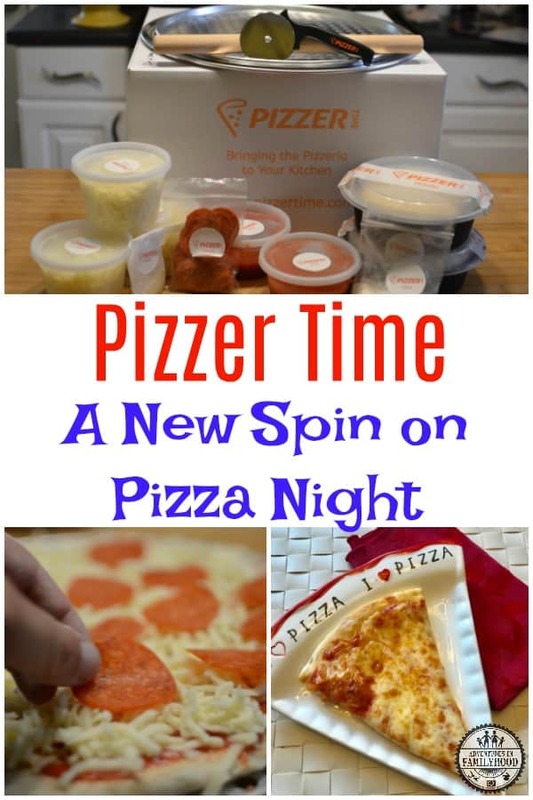 Pizzer Time is also good for special occasions, especially kids’ birthday parties. 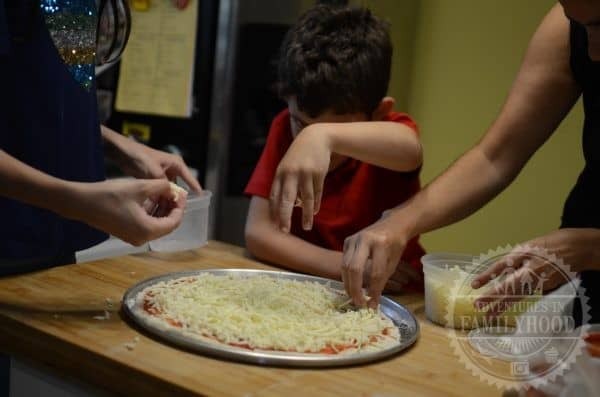 Kids would love having the opportunity to make and eat their own pizzas. It’s food and an activity all in one. Having a family get together or reunion? Pizzer Time can also accommodate a large crowd upon request. As a traveling family, we could also see Pizzer Time being a part of our vacation. Having a box delivered to your timeshare or rental home can save you money on food. Overall, we loved our Pizzer Time experience and would easily do it again. 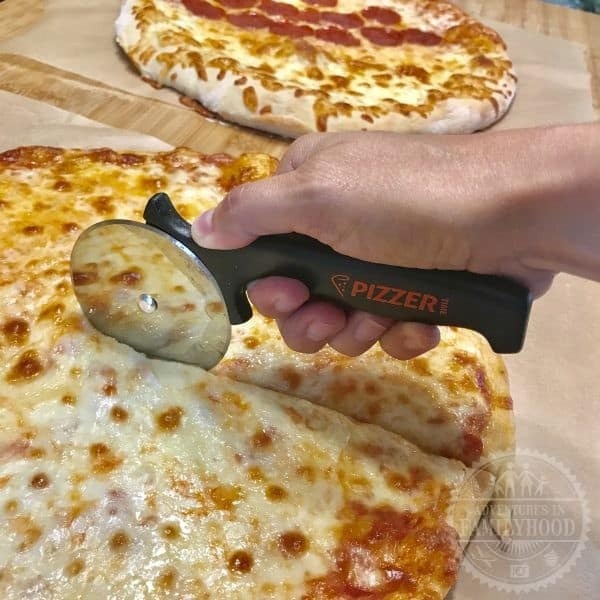 For more information on Pizzer Time and to check if they deliver to your area, visit their website https://pizzertime.com/.